After the critical and commercial failure of 2011's Green Lantern, Warner Bros. is giving the franchise another shot at redemption, by announcing a stand alone Green Lantern movie coming in 2020. The studio also announced Cyborg will debut in 2020, starring Ray Fisher, who makes his feature film debut in Batman v Superman: Dawn of Justice as Victor Stone/Cyborg. It remains unclear if Green Lantern will make an appearance in Batman v Superman: Dawn of Justice or not. The 2016 adventure is said to feature appearances from all of the Justice League members, but out of the 10 movies revealed earlier today, Green Lantern and 2019's Shazam! are the only two without confirmed stars. Since Batman v Superman: Dawn of Justice is still in production, it's possible that Warner Bros. may cast Green Lantern soon to appear in this superhero adventure, or they may hold off on revealing him until the first Justice League hits in 2017. There is also the question of which Green Lantern fans will see, Hal Jordan or John Stewart? 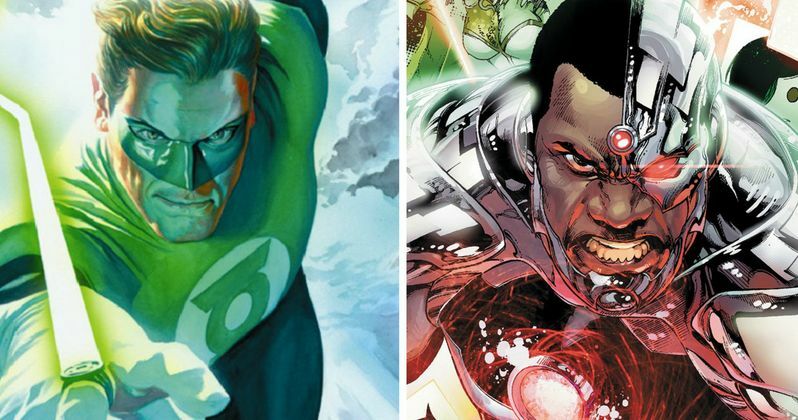 Since 2011's Green Lantern featuring Ryan Reynolds as Hal Jordan failed, it's entirely possible that Warner Bros. will go with the African-American John Stewart character instead, or other characters who have taken up the Green Lantern mantle, such as Guy Gardner or Kyle Rayner. Related: Justice League Green Lantern Cameo Spoiled by Big Bang Theory? Ray Fisher was confirmed to play Cyborg in Batman v Superman: Dawn of Justice back in April, which is said to be a smaller role that will get bigger in Justice League before his stand-alone adventure. It remains to be seen how exactly he will be introduced in Batman v Superman: Dawn of Justice, but hopefully we'll get more details about how all of the Justice League members are introduced soon. Warner Bros. didn't issue specific release dates for either Green Lantern or Cyborg, but it seems likely that they will occupy the April 3, 2020 and June 19, 2020 release dates that the studio announced back in August.